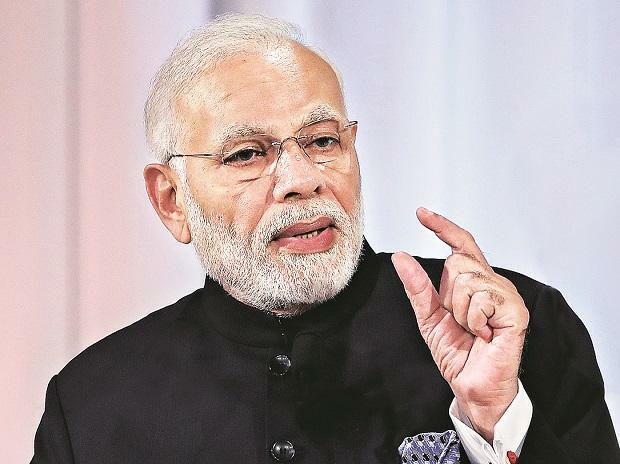 On the first day of 2019, which will see the country prepare for the Lok Sabha elections in less than three months, Prime Minister Narendra Modi presented a veritable report card of his government’s performance and the contours of his election campaign. He detailed various initiatives to curb corruption and black money, improve the lives of the poor, and address aspirations of the middle class, but ruled out a nationwide farm loan waiver, terming such promises as “chunavi (poll) stunts”. While Modi said his government had not stopped, and would not stop, state governments from writing off farm debts, he said the sector needed long-term solutions. “What is lacking in our system, that farmer becomes debt-ridden and the governments have to repeat the vicious cycle of elections and loan waivers. So the solution is to empower the farmers. From seed to market, give all facilities to the farmers,” he said in an interview with news agency ANI. The PM said demonetisation had helped achieve his major poll promise of curbing black money, and termed the goods and services tax (GST) as a work in progress. He dismissed the mahagathbandhan, or grand alliance of opposition parties, as a group of political leaders who had come together to save their skins. The PM said the 2019 Lok Sabha polls would be one between the people of India and the mahagathbandhan. Interestingly, and which was not in the public domain, Modi said Urjit Patel had expressed his desire to quit as governor of the Reserve Bank of India (RBI) nearly six months before he actually did, and had attributed it to personal reasons. “Urjit Patel has done great work as the RBI governor,” the PM said. Modi conceded that demonetisation caused a drop in economic growth, but added the move paved the way for the government giving affordable home loans, as also for start-ups. He said the government was lowering the GST on construction-related equipment. The PM likened the step to economic reforms that Manmohan Singh as finance minister had initiated in 1991, which had led to a drop in gross domestic product in the short term, but helped economic growth in subsequent years. On demands that his government bring an ordinance for early construction of a Ram temple at the disputed site in Ayodhya, the PM said his government would wait for the Supreme Court judgment, but “appealed” to the Congress to not use its lawyers to delay the judicial process. The PM’s comments suggest that the Bharatiya Janata Party (BJP) could contest the 2019 polls on the plank of the government’s performance on ‘ease of living’ and ‘garib kalyan’, besides curbing corruption. The PM’s remarks on farm loan waiver are significant in the context of BJP’s losses in the November-December Assembly polls in Chhattisgarh, Madhya Pradesh and Rajasthan. The losses have been attributed to agrarian distress, but the PM pointed out the BJP had maintained a respectable vote share in Rajasthan and Madhya Pradesh. Modi said he had termed the Congress’s promise of loan waiver a “lollipop” since that party was indulging in falsehoods on the issue. The reality was, he said, the Congress governments had written off loans of only a handful of farmers. “There is a small segment of farmers who takes loans from banks. A majority of them take loans from moneylenders. When governments make such announcements, those farmers do not become beneficiaries of waivers. The farmers who are dying are out of the purview of such schemes,” the PM said. He said farm loans were first waived by the V P Singh government, and then again in 2009, but failed to improve the lot of the farmers. He asked why does a farmer repeatedly becomes debt-ridden. Modi said there was a direct link between elections and promises of a farm loan waiver, when the agriculture sector was in need of long-term solutions. “I want to do everything possible to improve the lives of our farmers. It was our government that took the historic decision on better MSP for farmers,” he said. Modi said he envisioned “a situation where a farmer never has to be debt-ridden in the first place.” “We should also be thinking about structural issues -- how can we empower the farmers, ensure more water, greater credit, better markets,” he said. The PM said his government had taken steps to improve irrigation, provide soil health cards, and worked to set up food processing units, improve transportation and also encouraged farmers to earn by installing solar panels in their fields. On the GST, the PM said his government was constantly working to make it more people-friendly. “The GST Council has a wide range of members. There are state governments too, many of them where the BJP is not in power. Whatever is happening is happening through consensus: Earlier, there were so many hidden taxes. The tax rates were also high. The GST has made things simpler,” he said. Modi said his government had taken several initiatives to address aspirations of the middle class. He said inflation was low, more educational institutions like IITs and IIMs were being set up, there was a scheme for quality and affordable healthcare, flying had become affordable and due to that more people were sitting in planes. “Who is this benefiting? The middle class,” he said. Modi also lashed out at the Congress leadership. He said the “reality” was that the “the so-called first family of the nation is out on bail”. “Their loyalists may try to hide that fact but they won't succeed,” he said. Modi said a former finance minister had to go to courts, but rejected insinuations that there was any political vendetta. “We have nothing against any person,” he said. On allegations against functioning of central probe agencies, the PM said government departments were working professionally. To a question on economic offenders, the PM said, “Those who have run away after looting people will have to return. Every penny they have taken from the people, they will have to return it back to the people.” The PM said there were some political parties who began to speak the same language as Pakistan. “These parties were demeaning our armed forces. They politicised such an issue,” he said. On the Rafale controversy, Modi said the Supreme Court had given its views as had French President Emmanuel Macron. “For them (the Congress, my crime is I am working on Make in India for being self-sufficient in defence. My crime is that I am focusing on whatever defence forces need,” he said, adding that he could not care less about “their abuses” and “will do my work and strengthen the armed forces”.